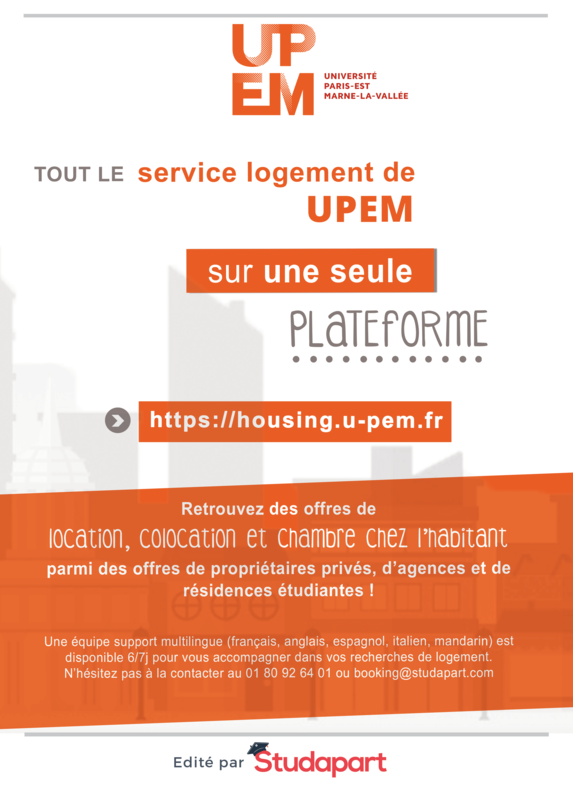 Connect to the platform via « Connexion étudiant », then register with your intranet identifier (ENT). 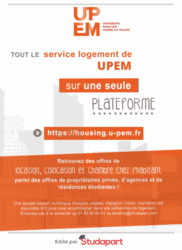 You will receive a code allowing you to connect to the platform, once you enrol at UPEM. Real estate agency, student residence ?